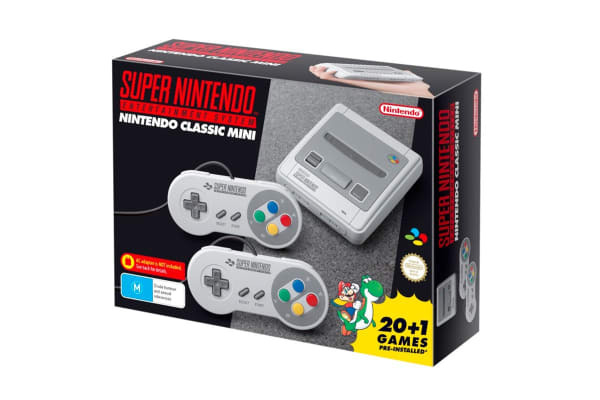 Included with the Nintendo Classic Mini: Super Nintendo Entertainment System are one HDMI cable, one USB power cable, and two wired Nintendo Classic Mini: Super NES Controllers – perfect for players to dive into multiplayer action right away. Some of the games with multiplayer options include Street Fighter II Turbo: Hyper Fighting, Super Mario Kart, Contra III: The Alien Wars and Secret of Mana. The Nintendo USB AC Adapter will also launch on the same date, and is suitable for use with the Nintendo Classic Mini: Super Nintendo Entertainment System. Forgot how great these games were,brought back great memories. System works fantastic,kids of today can't believe the dodgy graphics. Back then we thought we were "high tech".